He’s a populist, hard-right candidate who’s often described as Brazil’s Donald Trump. 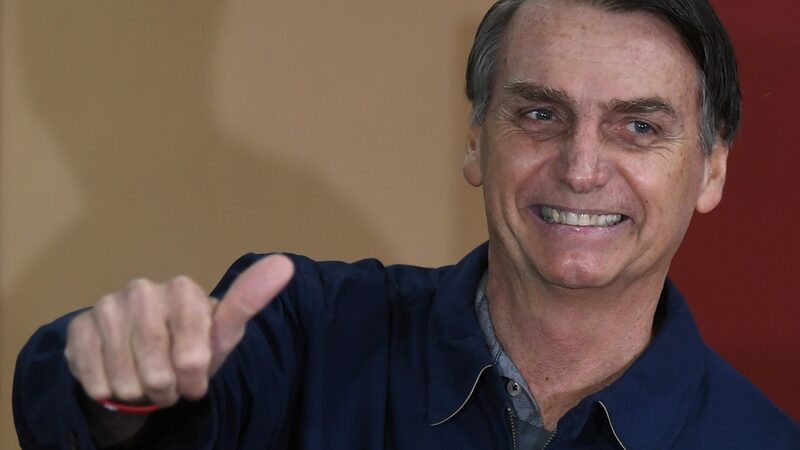 And if the polls are correct, Jair Bolsonaro is heading for a landslide victory in this weekend’s presidential elections, warning his left-wing rivals they could either go overseas or go to jail. In a country still emerging from its worst ever recession, where violent crime is commonplace and corruption rife, many in Brazil are desperate for change.